5 oscar nominations? Green Book sounds good after Indian food! You must be a member of the Orange County Movie Group to attend this activity. Would you like to join this group? 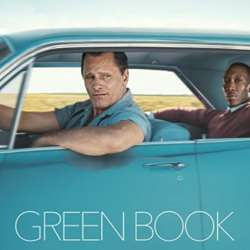 Set in the Deep South in the Protected content , Green Book follows a tour between African-American classical and jazz pianist Don Shirley (Mahershala Ali) and Tony Vallelonga (Viggo Mortensen), an Italian-American bouncer who served as Shirley's driver and bodyguard. Let's have some Indian food with our IN OC Ambassador Maryam and then head out to the movies; reserve your lunch here: Protected content and then we'll drive to the movie theaters not too far from there.